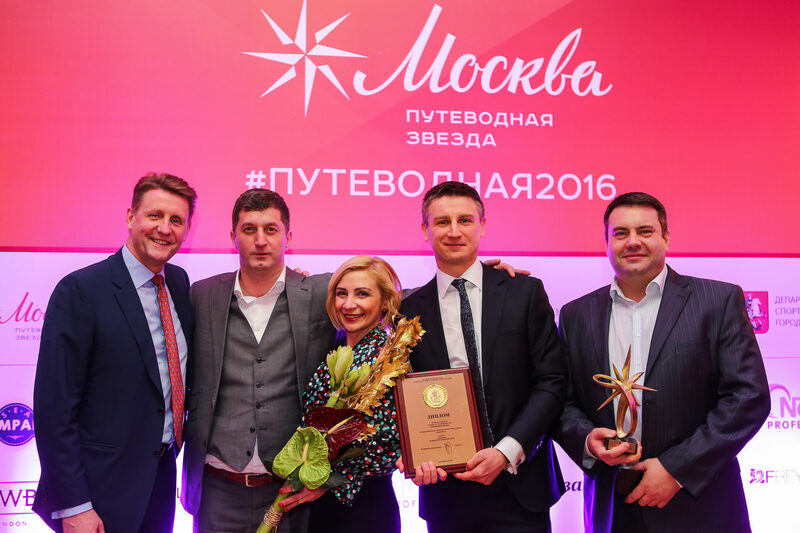 On 14 December 2016, the legendary Metropol Hotel in Moscow hosted the solemn ceremony of awarding the Industry «Guiding Star» award given by the Government of Moscow to the best representatives of the hospitality industry in the capital region. The holiday of tourism gathered all the light of the hotel and tourist business of the capital, representatives of state authorities, corporate companies and mass media. In anticipation of the beginning of the event, the guests could enjoy the performance of the skaters and the sound of pianos in the historic halls of the Metropol Hotel, make spectacular selfies with deer Vasya as the special guest of the award from the Altai Territory. Using the welcome zone as an effective business platform, the participants of the event discussed the results of the past year, shared current problems of the industry, and got acquainted with new potential partners. The main action of the event was the awarding of the winners in 16 nominations. The choice of the best hotels and this year was offered to the representatives of travel companies and tour operators. The estimate themselves travel companies focused on inbound tourism was offered to the capital's hoteliers. The winner in the nomination «The best concierge of the city of Moscow» was determined by the subscribers of the site of the award in the social network of Facebook, and the muscovites the «Active Citizen» application chose the «The best object of the tourist excursion show». Maria Bobarykina, Head of the Internal Customer Service Department of VTB Capital. The hosts of the solemn program this year were TV speaker Elena Tolstaya and the coveted groom according to the version of the Tatler magazine, TV host and show-man Maxim Iksanov. 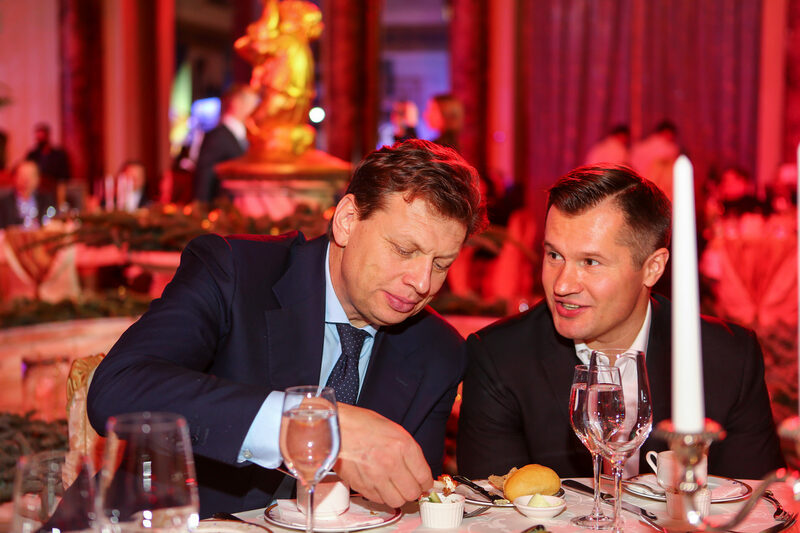 The invited artists of the party were Ksenia Dezhneva and Valery Syutkin. 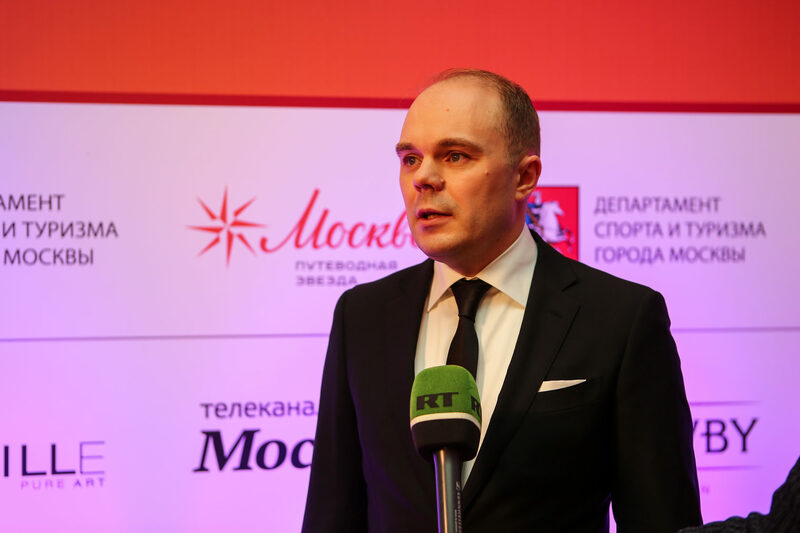 Among the guests of the award there were Alexey Nemov, Yana Poplavskaya, Elena Gagarina, Ken McLaren, Deputy Mayor of Moscow Alexander Gorbenko, Head of the Department of Tourism and Sports of Moscow Nikolay Gulyaev, Head of the Department of National Policy and Interregional Relations of Moscow Vitaly Suchkov.